Failed and failing shared services projects in the health sector are again in the spotlight after the release of a new audit report. Among many other issues, the Auditor-General reviewed two large sector-wide ICT projects aimed at improving corporate support, reducing costs, increasing efficiency, and making better use of information in the health sector. The National Oracle Solution project, which has been running since 2012, was intended to replace ageing and disparate District Health Boards finance and supply chain systems. The DHB-funded project, now being managed by NZ Health Partnerships, has been re-scoped (for example, removing shared financial services) and had its delivery time line extended several times, the Auditor-General says in a report released yesterday. "The original budget was $87.9 million, which we understand has been spent," the report stated. In 2016/17, the National Oracle Solution did not achieve any of its performance measures, one of which was to have the first four DHBs begin using it during the year. "The programme was re-planned with revised timelines, including a July 2018 date for the first four DHBs," the report added. "We understand that this re-planned programme, including additional costs, has been approved by all 20 DHBs and that the additional spending is awaiting approval by Ministers." Because of the delays, DHBs have to consider each year whether there has been any impairment of their investment in the National Oracle Solution that should be provided for in their financial statements. This means assessing whether the value of the investment has reduced because it will not be fully realised. Read more Facing budget deficits, Ministry of Health targets platforms "at risk of failure"
In 2016/17, all 20 DHBs concluded that their investment had not been impaired, the Auditor-General said. "This conclusion was partly supported by a Health Partnerships-commissioned assessment that the expected benefits still exceed the expected costs of the project," the report added. "We considered that these assessments were reasonable, based on the information that was available at the time. 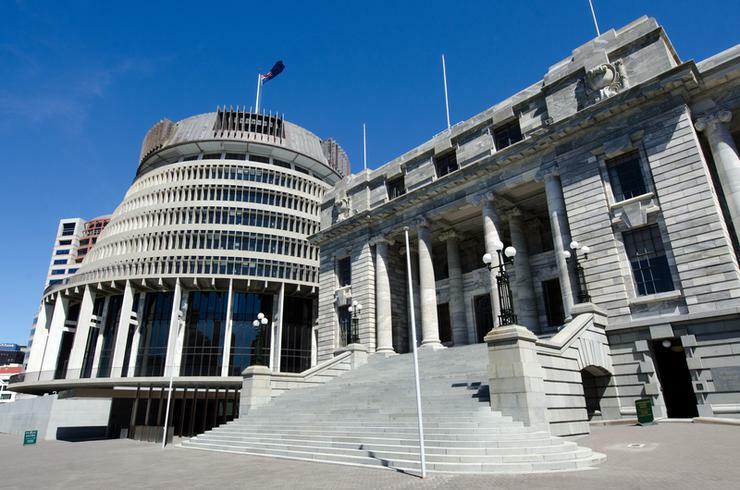 We will continue to follow developments with the National Oracle Solution, including the DHBs' consideration of whether any impairment of their investment needs to be provided for." Shared back-office systems like the National Oracle Solution were intended to save money and help DHBs to be more effective, the Auditor-General said. Challenges in delivery, however, have raised questions about how effectively DHBs are collaborating, and whether the intended benefits will be achieved. Another significant shared-services programme led by Health Partnerships is the National Infrastructure Platform. In 2015, IBM was contracted to move DHBs' local infrastructure to data centres that were more centrally managed to increase security and reliability. Delays in the programme however, resulted in exactly the opposite outcome, with some DHBs forced to continue to use aging legacy systems. Because of continued delivery problems, Health Partnerships decided to end the original agreement with IBM. During 2016/17, a new agreement was negotiated with IBM that allowed DHBs to procure services from that provider or other providers from the Government's Infrastructure as a Service (IaaS) procurement panel. Under the new arrangement, DHBs lead their own infrastructure transition using tools and templates developed with Health Partnerships, rather than through a centrally led approach. Once again, this created accounting challenges that in this case led to NZ Health Partnerships failing to meet its statutory reporting deadline of 31 October 2017. The final annual report was approved by the board of NZ Health Partnerships over three months later, on 9 February 2018. "Because of the changes to the agreements with the service provider, Health Partnerships needed to consider whether its accounting treatment of funds received by Health Partnerships/Health Benefits Limited in previous years was still correct," the Auditor-General said. In 2016/17, $16.22 billion was spent on health, making it the second largest area of government spending after social security and welfare, the report said. "However, financial sustainability continues to be a challenge for DHBs," the report added. "The total deficit for all 20 DHBs increased significantly in 2016/17 and is expected to have increased further in 2017/18. "Continued financial pressure makes it difficult for DHBs to invest for the future. It also affects their resilience and their ability to make investments to deal with significant changes in demand." The audit report comes just a couple of days after the release of the Ministry of Health's response to a performance review which revealed it is taking stock of legacy IT systems to help develop a long-term plan to mitigate risks of failure. Concentrated effort and investment is required to mitigate those risks. "The Ministry is dealing with ageing applications and platforms and increasing technical debt, as the cost to replace legacy systems increases as replacements and upgrades are delayed," the report said. The new audit report, however, says the 2016/17 audits of DHBs did not reveal much progress in addressing recommendations from the Auditor-General's 2016 report. The Government has recently announced a wide-ranging review of the health sector, which is expected to result in a report by January 2020.